Capillary-porous electrodes for plasma MHD devices are considered. The electrodes can be continuously renewable and allow one to use a scheme of the inverted MHD generator (i.e., MHD accelerator) as a thruster for interorbital flights. 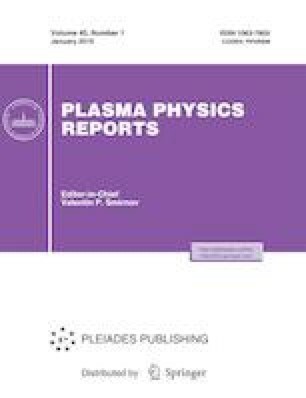 Two types of plasma acceleration are considered: (i) Lorentz force acceleration with a primary current perpendicular to the acceleration direction (Faraday scheme) and (ii) acceleration based on the Hall effect. In the first case, the thruster has advantages only at thrust powers exceeding 1 MW, while in the second case, the thrust and specific impulse are comparable with those of the known analogs (or even surpass them) already at powers of 500–1000 kW. The operating conditions of capillary-porous electrodes are formulated.